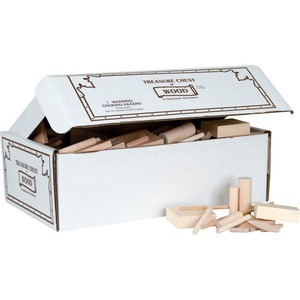 Treasure chest of wood features a variety of wood pieces to help young learners develop fine-motor skills and enhance their learning experience. Smooth, durable pieces prevent splintering to ensure safe handling by children. Reclosable box keeps all of the pieces securely organized between uses. Wood pieces are designed for children ages 5 and up.